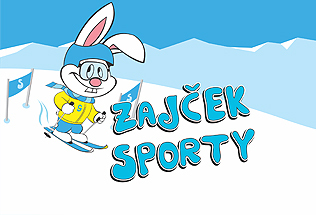 Sporty the Bunny will teach children their first steps on snow. 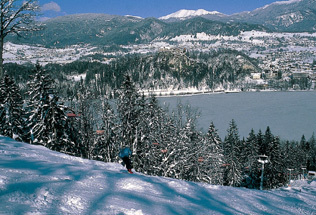 Small but settled ski slope is a few minutes' walk from the center of Bled. It is lit for night skiing and offers ski school, equipment rental and Sporty's Children Snow Park for the little ones. 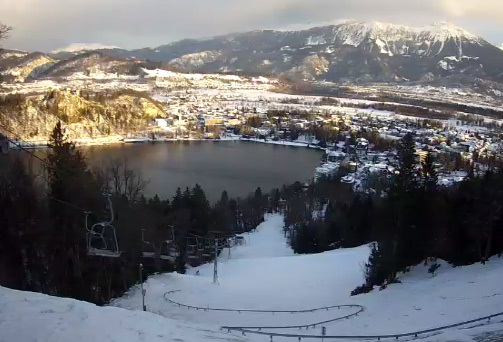 View a live image from Bled through a webcam. A deposit of 5,00 € is charged for the electronic lift pass. This deposit will be refunded to the holder if the card is returned in working order. Daily, 2-days and 3-days tickets are not valid for night skiing. Group must be 20 or more skiers - one payment. Group discount for adults and schools: 1 ticket free for 20 paid. Group discounts for students: 5% (20 or more skiers - one payment). A ticket is obligatory for ski lessons attendees. Daily, hourly and night tickets are valid only on the day of purchase. Two and three days tickets are valid only through 2018/19 season. No refund due to severe weather conditions or chairlift failure. Infrastruktura Bled d.o.o. reserves the right to change the schedule or prices. Gozdni mož, Lucija Vidic s.p.